Dream Wedding Days can provide you with a truly unique experience. 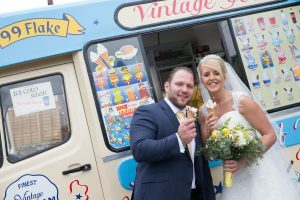 Why not impress your guests with an delicious treat and let Vintage Ices be a part of your wedding. Vintage Ices operates in an original 1986 Mercedes 207d Ice Cream Van, we are ready to serve Tarrs award winning ice cream to you, along with lots of other goodies such as ice lollies, ice cold slush, sweets, popcorn and more. 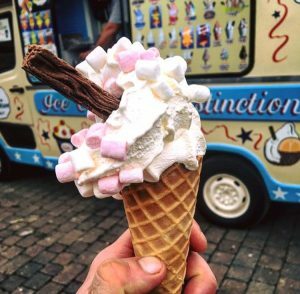 Our van is a real crowd pleaser, and is sure to be a long lasting talking point, making your special event one to remember. 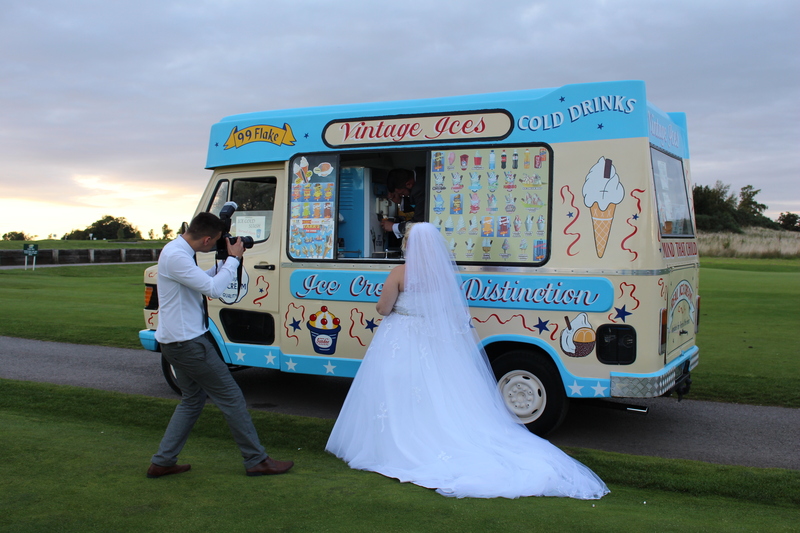 Vintage Ices can make a fabulous addition to your wedding and give an opportunity for the bride and groom to spend 30 minutes with their chosen photographer taking unique photos inside and outside the van. 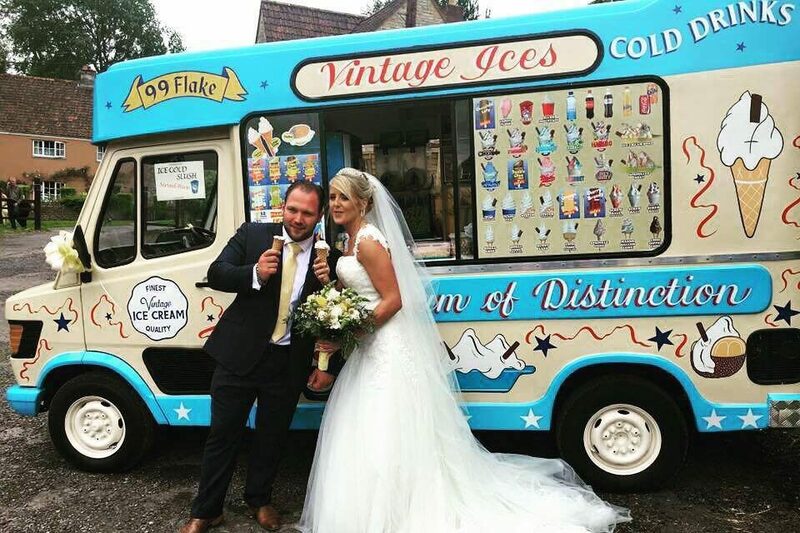 Wedding ice cream van hire includes a pre-arranged quantity of ice cream & products to be distributed on a “give away” basis for your guests. With Tarrs award winning ice cream, Tarrs cones (with an option to upgrade to our speciality waffle cones) and/or Tarr’s ice lollies all tailored to your exact requirements. Should you hire Vintage Ices you can feel at rest in the knowledge that we have Public Liability Insurance, comprehensive vehicle insurance, up to date Food Safety training and is registered as a food business with South Gloucestershire Council. The owner is also fully checked with the criminal records bureau. Paperwork can be provided to you on request. For quotations & bookings please contact Debbie or Daniel by email at info@vintageices.net or by visiting www.vintageices.net Please remember to include the date of your wedding, the location you would like the van and the number of guests. 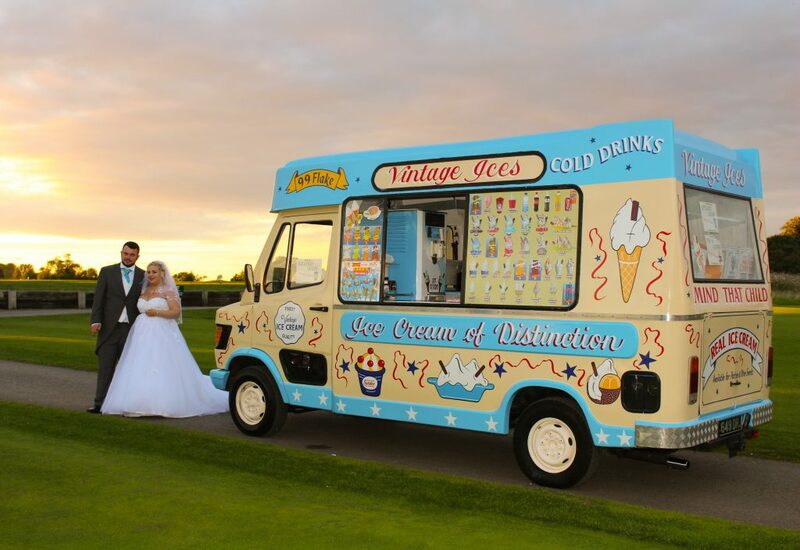 If you want to make a true impression, then why not arrive at your wedding in one of our fantastic cars. 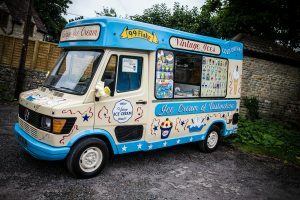 We have got a great line-up of some fabulous vehicles.